The Nintendo 3DS comes packed with a 2 GB SD card, and the Nintendo 3DS XL includes a 4 GB SD card. If you like to download lots of games from the 3DS eShop or Virtual Console, a mere 2 GB will fill up in no time. Even 4 GB gets gobbled up fast. Fortunately, it’s easy to upgrade since the Nintendo 3DS and 3DS XL can support third-party SDHC cards up to 32 GB in size. Plus, you can move your information and downloads to your new card without a hassle. 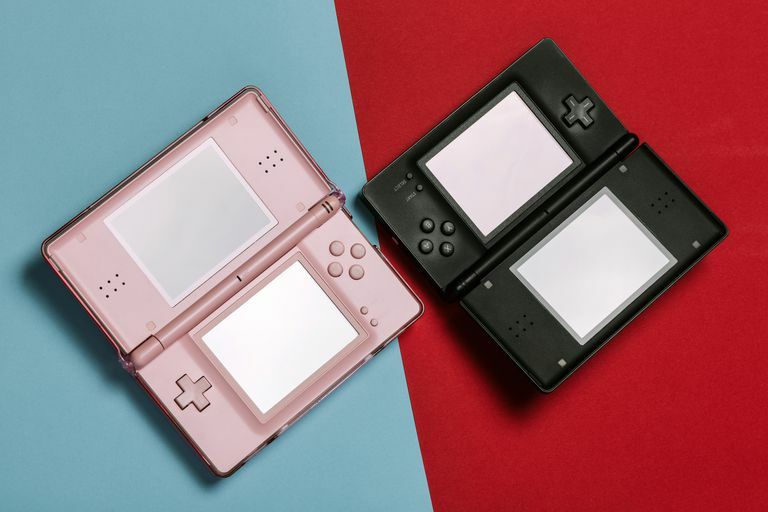 Here’s how to transfer Nintendo 3DS data between two SD cards. Your computer must have an SD card reader for the data transfer to work. If your computer doesn’t have one, you can buy a USB-based reader from most major electronics stores, like this Transcend USB 3.0 SD card reader on Amazon). Turn off your Nintendo 3DS or 3DS XL. Remove the SD card from your 3DS. The SD card slot is on the left side of the Nintendo 3DS; to remove it, open the cover, push the SD card inwards, then pull it out. Put the SD card in your computer’s SD card reader and then access it through Windows Explorer (Windows) or Finder (macOS). Depending on the operating system you’re using, you may automatically receive a pop-up message asking what you’d like to do with the SD card. You might be able to use that pop-up window to quickly open the SD card's files. Highlight and copy the data from the SD card, and then paste it into a folder on your computer, like the desktop. You can quickly highlight all the files with the Ctrl+A or Command+A keyboard shortcut. Copying can also be accomplished with the keyboard, using Ctrl+C or Command+C, and pasting similarly: Ctrl+V or Command+V. Do not delete or alter the data in the DCIM or Nintendo 3DS folders! While those files are copying, insert the new SD card into your 3DS and let it initialize the new card. Then turn off the 3DS again and eject the new SD card. Remove the SD card from your computer and then insert the new SD card. Use the same procedures from Step 3 to open the SD card on your computer. Copy all the files from Step 4 onto the new SD card, or drag-and-drop the files from your computer to the new SD card. Once copying is done, open the folder called “Nintendo 3DS”. Open the folder with a long string of letters and numbers for the name. You'll see two folders. One is for the old card and one is for your new card. The old card folder has a larger file size. Copy the contents (not the folder) of the old card folder to the new card folder. Delete the old card folder to save space. Remove the SD card from your computer and insert it into your Nintendo 3DS or 3DS XL. All your data should be just as you left it, but now with lots of new space to play with! Here’s how to transfer Nintendo 3DS data over a home network. The following procedure works on Nintendo 3DS, Nintendo 3DS XL, and Nintendo 2DS systems. Before starting this process, insert the new SD card into the target system where you want to transfer the data to. On the source system, go to the Home menu and tap the System Settings icon. Then tap Open, tap Other Settings, tap 3, and finally tap System Transfer. Tap on Transfer from Nintendo 3DS. Tap Agree, and then tap Send from This System. If you haven't linked your Nintendo Network ID, you'll need to do so. If you already have, just tap Next and enter your Nintendo network ID and password. On the destination system, go to the Home menu, tap the System Settings icon. Then tap Open, tap Other Settings, tap 3, and tap System Transfer. Tap Transfer from Nintendo DS. Tap Agree, then tap Receive from Nintendo DS. Back on the source system, select the system to send the data transfer to, and tap Yes to accept the transfer. Tap Next to continue, and then tap Yes to confirm. Tap the blue Transfer button to initiate the data transfer. On the target system, tap Delete to confirm that it's okay to delete all data on the target system's SD card. Tap the blue Delete button, and then tap Yes to start the transfer. You can transfer data and select Do Not Delete on the target system if have enough room on the card. Even if you don't delete data, you'll still need to reinstall existing games on the target system. When the data transfer is finished, you'll need to tap OK on the target system to restart it and complete the transfer. Now that you've transferred all of the data, you can eject your SD card from the source system and insert it into the target. Now all of the games you played on the source Nintendo DS will work on the new one.